BURBANK, Calif., April 24, 2014 -- Warner Bros. Consumer Products (WBCP) announced today a slate of new partners signed on to support Warner Bros. Pictures' and Legendary Pictures' highly anticipated film Godzilla with product inspired by the epic action adventure. Led by master toy partner Bandai America Incorporated, alongside JAKKS Pacific, Inc., Rubie's Costume Co., NECA, Sideshow Collectibles and more, the global licensing and merchandising program for Godzilla will mark the rebirth of Toho's iconic creation with a monstrous array of products fit for fans of all ages. Products will be available at mass and specialty retailers worldwide, with several products also available at www.WBShop.com. CYPRESS, Calif., July 15, 2013 -- At this year's San Diego Comic-Con, Bandai America Incorporated will offer limited edition products (while supplies last) and a host of activities at booth #2813 from July 17 – 21. To celebrate the 20th Anniversary of Power Rangers, Bandai will offer three Limited Edition products including a Power Rangers Limited Edition Legacy Power Morpher, a Power Rangers Limited Edition Gosei Morpher and a Power Rangers Limited Edition Green Dragon Ranger. Bandai will also offer a Pac-Man and the Ghostly Adventures Pac is Back - Avi Arad Limited Edition Figure. In addition, the full line of new Godzilla products from Bandai will be unveiled. 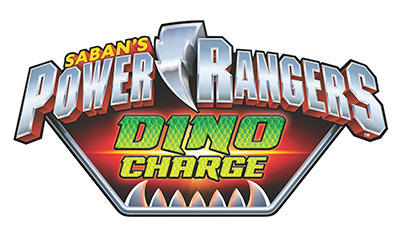 NEW YORK, Feb. 7, 2013 -- Saban Brands and its licensing partners will showcase a playful assortment of Power Rangers inspired toys next week during the American International Toy Fair, Feb. 10-13 at the Jacob K. Javits Convention Center in New York. There will be a variety of action figures, plush, board games, consumer electronics and more to celebrate the 20th Anniversary of the iconic franchise. New Power Rangers Megaforce products will be on display for the all-new season now airing on Nickelodeon, as well as some items inspired by the original Mighty Morphin Power Rangers series to commemorate the 20th anniversary year. All products are expected to hit shelves throughout the year. Cypress, California – February 6, 2013. -- Saban Brands and Bandai America Incorporated are pulling out all the stops for the epic 20th season of Power Rangers. The all-new Power Rangers Megaforce TV series will captivate kids as well as long-time fans and drive an inspired toy line that delivers on the series' action and excitement. Additionally, the toy line integrates key elements from the TV series with mobile innovation that allows for a deeper play experience, all while celebrating 20 years of Power Rangers.